Get HR involved now in finding people with AI skills and talent or risk being left behind, warns Mark Minevich, a leading business and government consultant. LAS VEGAS – “Mark Minevich didn’t mince words in his Rise of the Autonomous Enterprise presentation here at Interop last week: “Whoever doesn’t get involved in AI will die and get phased out.” Minevich, a senior advisor to the government’s Council of Competitiveness in Washington D.C., ticked off several examples of companies that have transformed industries by leveraging AI technologies, including Amazon with its personalized recommendations and Tesla. “Tesla has accumulated over 750 million miles of data to make cars smarter,” said Minevich. The bad news is that finding talented AI professionals is challenging. “Large companies like Apple, Google and Facebook have acquired the majority of AI talent,” said Minevich. But he also pointed to relatively smaller companies like Vicarious doing cutting-edge work in AI where the code and algorithms are created by the system itself with minimum human intervention. “We are building a unified algorithmic architecture to achieve human-level intelligence in vision, language, and motor control,” states the company’s About page. And just last week an AI research firm backed by Tesla’s Elon Musk and several other tech luminaries said it’s developed and deployed a new algorithm for “one-shot imitation learning” where a human communicates how to do a new task by performing it in virtual reality. “Given a single demonstration, the robot is able to solve the same task from an arbitrary starting configuration,” the non-profit OpenAI said in a blog post. Minevich implored companies to be sure HR departments are tied in to the need for AI skills and expertise and to be on the lookout for talent coming out of universities, particularly in areas like deep learning and predictive analytics. As part of his work with government agencies, Minevich has been involved with organizations at the United Nations focused on the impact of digitization and advanced autonomous systems. At Interop he previewed an announcement set for June to unveil the World Artificial Intelligence Organization. Working with the U.N. and leading tech firms and enterprises, he said the WAIO’s goal is to provide a level of guidance related to AI research and development. While it’s unclear how much power the new organization will — or should — have to influence product development or distribution, Minevich said the time to start building some kind of control system is now. “There is a potential dark side. Imagine the cyber security implications of what terrorists can do with AI. We are in the early stages and as we move to more general-purpose AI, bad actors could get involved and hijack our information. It has to be regulated and controlled,” he said. 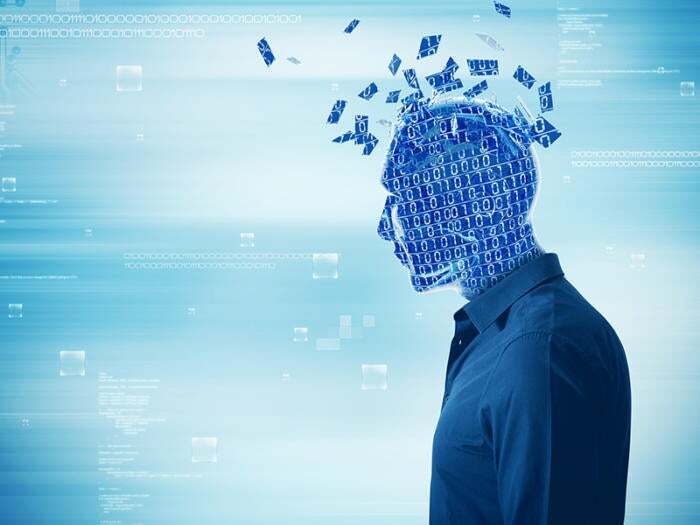 Looking farther ahead, Minevich said work is already underway that aims to converge AI with the human brain where you implant or connect an AI chip to the brain. Wherever computers are involved there is always the potential for misuse and for the system to be hacked. Minevich said those concerns are valid and that’s why security and regulation is necessary.